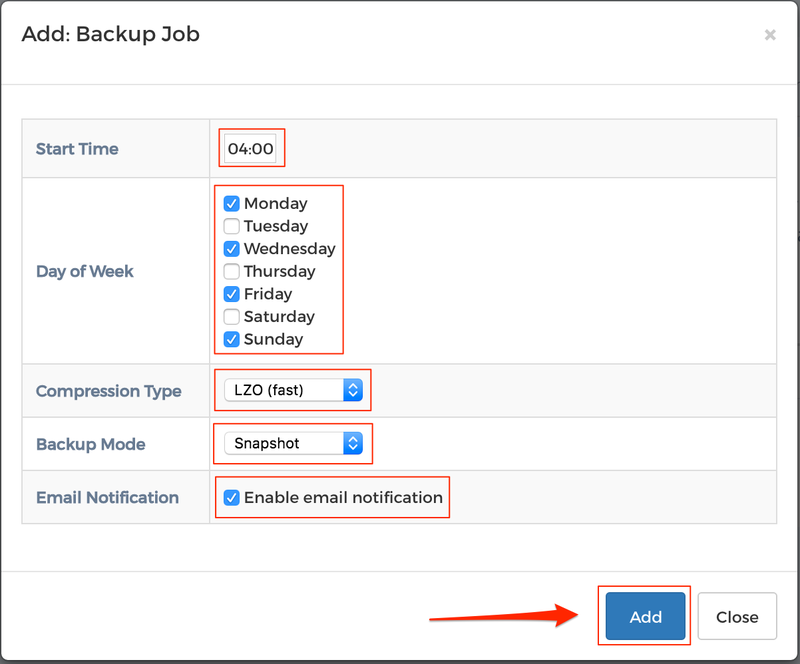 In order to configure automated backups for you server, you will need to first purchase backup slots for your VPS. These can be added upon initial order or in the control panel after ordering. If you need assistance, please contact us. 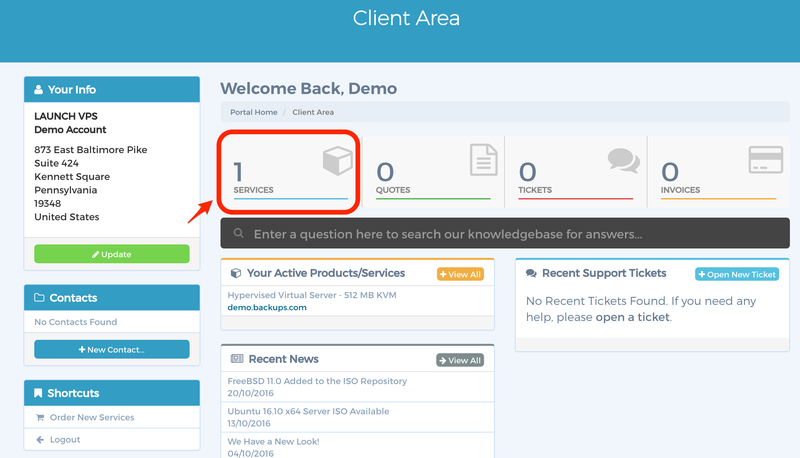 STEP 5: Configure the job as needed for your use case. Please see option descriptions below. Start Time: Will set the start time of the backup. Time zone is in the local datacenter. Day of the Week: Will seelct the day of the week the backups will run. Multiple days can be selected. Select all days to configure daily backups. Compression Type: LZO (Fast) should be selected for this option. Backup Mode: Selecting Snapshot will allow the VPS to stay online during the backup. Other options will shut the VPS down while backups occur. Enable Mail Notification: Checking this box will enable status emails to be sent to eh administrative contact on the account.